Irises are beautiful flowers that start to bloom early in the spring and come in just about all colors of the rainbow — so say hello to our Iris! 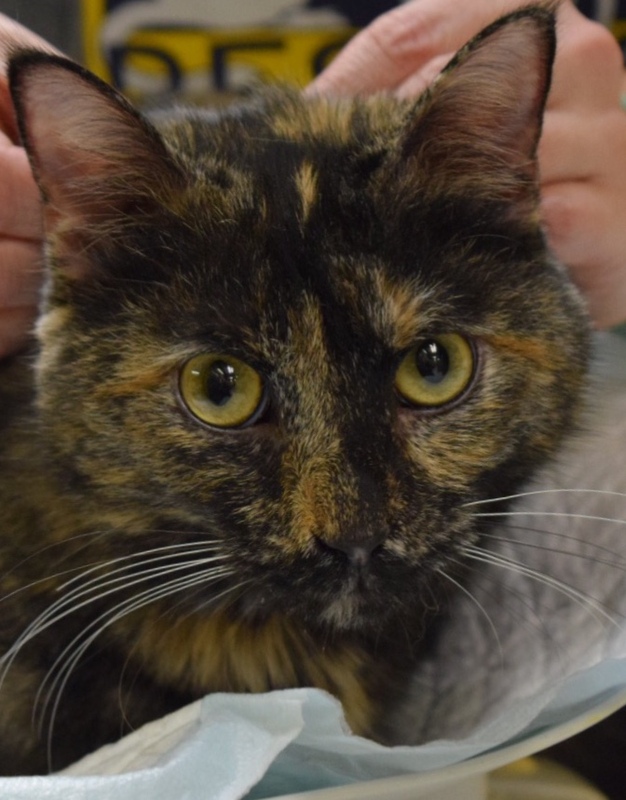 She certainly has lots of different colors in her gorgeous tortie coat and she has just come to Lost Dog and Cat Rescue all set to bloom from an older kitten into the cat love of some lucky adopter’s life. And she is so much more than just a pretty face: Iris is an amazingly sweet cat who just loves to curl up in your lap and love and be loved. How about giving her the opportunity to show you?